So i am being very good and staying in tonight (Friday) because I have college tomorrow morning at 9.30am until 4pm and then I am working in the pub straight after until 9pm. Rather than sit in and think about how boring I am I decided to give my skin and hair a little attention. Here is what I got up to. 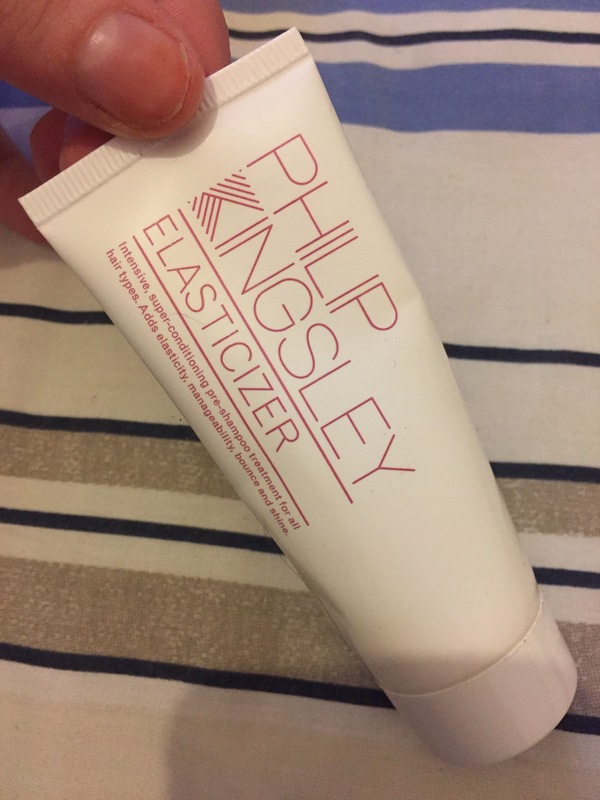 To start off my night in I wet my hair and then applied the “Philip Kingsley Elasticizer”. What is that you may ask? Well it is a pre Shampoo treatment. It is advised to use this product for 10-20 minutes before Shampooing your hair but I left it in my hair overnight and rinsed it out of my hair Saturday morning. Next I moved onto my skin. 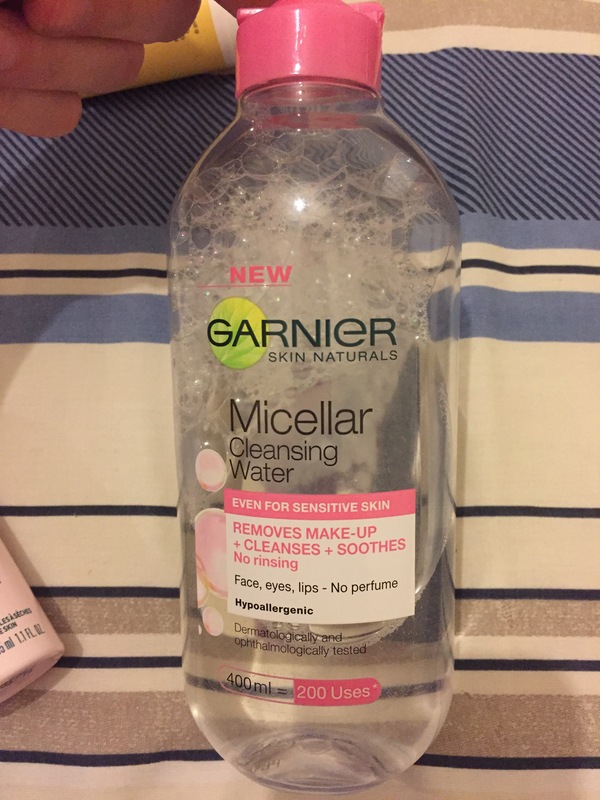 I cleansed my skin with the “Garnier Micellar cleansing water”. I like this products because it isn’t too harsh on my skin in my opinion. I have dry and sensitive skin so sometimes I do find some products very harsh on my skin and I feel like it burns my skin. This however is aimed at sensitive skin and I find it great. After I had cleansed my skin I moved onto toning it. 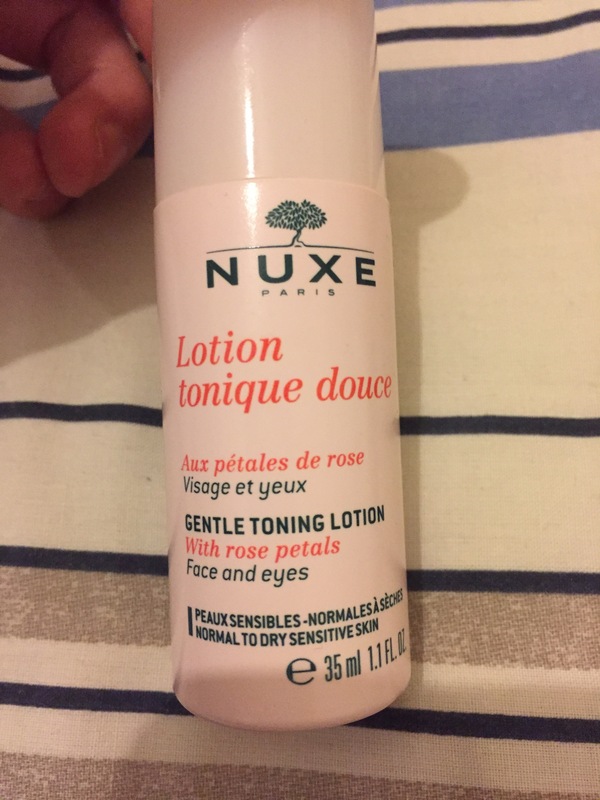 To do this I used the “Nuxe Gentle toning lotion”. This was my first time using this product and I liked how it felt on my skin and it left my face feeling refreshed. As you all know I am studying Fashion, Theatre and Media Makeup (makeup artistry) and each week we create makeup looks on each other which is great but I do find that my skin is a little dryer than normal so I decided to exfoliate my skin so get rid of any dead skin cells or flakes. 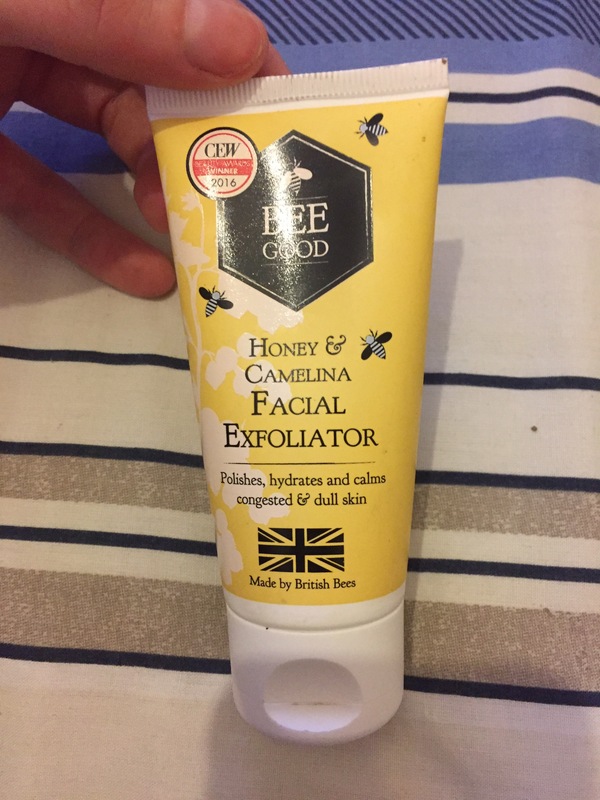 To exfoliate my skin I used the “Bee Good Honey and Camelina Facial Exfoliator”. I have to say after using this product I did see an improvement in the congestion on my nose and chin area straight away. After removing the exfoliator, I applied the “Bee Good youth enhancing plump and firm moisturiser”. 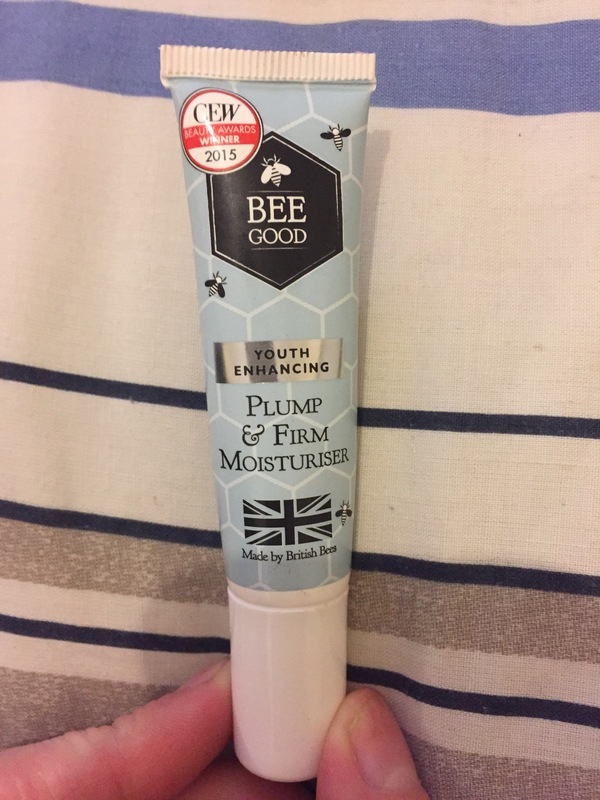 I have tried a good few products from the “Bee Good ” range and I do really like each one. They are all really gentle on the skin, smell lovely and feel luxurious after being applied. As I mentioned before, my skin is dry and sensitive so the products that I use are all products that will help correct this problem and hydrate my skin. If you have oily skin then you should use products that are suitable for that skin type. If you don’t know what skin type you have then just ask your beautician to have a look and then they can tell you. Most bottles will say which skin type they are all made for so just check the label before you buy any product so that you don’t buy the wrong one.